Visiting your dentist on a consistent basis is important when it comes to maintaining an optimal level of oral health and keeping your teeth healthy and strong. Regular dental visits can also help us to identify any particular issues that you might be developing along the way, as well put together specialized treatment plans to help maintain your oral health when these issues pop up. Sometimes, for example, you might lose a tooth due to injury or surgery. When this happens, it is important that you invest in restorative care in order to help maintain the structural integrity of your mouth. 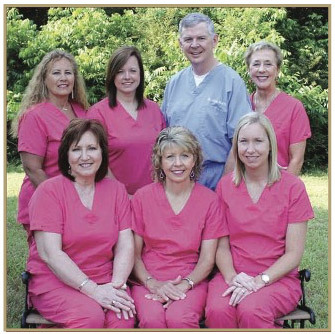 At South Main Dental, we understand how important it is to maintain your ability to eat and speak normally. That’s why we are happy to offer dental implants. Dental implants, simply put, are implants that are inserted into an empty socket where a tooth was lost in order to hold a replacement tooth in place and allow the patient to maintain their ability to eat and drink normally. 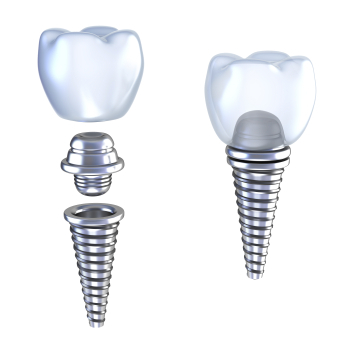 Dental implants are usually metal in nature, and you can think of them as a kind of artificial “root” for a replacement tooth. This is superior to other restorative options in that dental implants function like a natural tooth does. It adds support to your mouth and holds the replacement tooth firmly in place, which means that you can eat and speak like you normally would. This is something that cannot always be said about other treatment methods. When it comes to dental care, no one wants to invest in treatment options only to repeat the same procedure a few years down the line. That’s understandable, of course, as it is not as though oral surgery is a small deal that doesn’t affect your ability to work or live your life normally. Because it is a significant procedure, in other words, everyone wants to know exactly how long they can expect their implant to last. The good news is that, assuming you take proper care of them, dental implants can last for at least 25 years or more. You might eventually have to replace it, but if you take care of them, we’re talking decades in the future. That means that you’ll get a lot of use and utility out of a dental implant. Because the most important factor affecting how long dental implants last is how well you take care of them, it is important to take the time to clean them well. You should brush and floss as you normally would, and you should also maintain regular visits with us so that we can ensure that the implant is in good condition. We will also advise you of any additional steps that might be unique to your specific situation. Are you interested in learning more about dental implants? Give us a call today at (662) 586-2311 and allow one of our experienced members of the staff to help answer any questions you might have.